We’re standing on the edge of the next big social media revolution and your TV viewing will never be the same. To date, online TV experiences have been quite limited. Apple TV, Roku and others offer easy ways to access online video content on your TV, while Netflix has brought movie streaming to a wider audience of TV viewers in the US via its service for games consoles. At the same time, viewers are craving a more social way to watch TV. Many readers of The Next Web will have watched a TV show with a laptop, phone or tablet in front of them, using Twitter as a ‘backchannel’ to discuss the show with others as it goes out. Services like Miso and Picklive are attempting to build on this concept with TV-related games but things are about to get a lot more interesting. In the next couple of years we’re going to see these two strands – technical advancements and changes in the way we want to watch TV – colliding to create a new form of TV viewing that is inherently social – and the implications will be huge. High-end TVs have been slowly transforming into computers for the past couple of years. 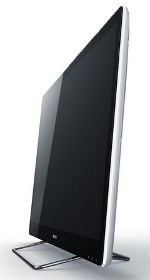 a number of Internet-enabled TVs, for example, support Yahoo widgets that bring Twitter, Facebook, eBay and more direct to your TV screen. This is only the beginning. More advanced systems like the recently-announced Google TV will allow developers much more scope to innovate with how they integrate social media with broadcast TV. At first it’s likely that we’ll see quite simple apps built around this idea. It would be relatively easy, for example to develop an app that displayed tweets related to the currently viewed TV show – perhaps by using an agreed hashtag for each show. As we noted last time we explored the future of social TV, “tweets on screen” have limited appeal; it’s just another form of one-way broadcasting. Something more immersive and interactive would be far more interesting. Imagine a future where TV shows are social by design. Gameshows could have teams of contestants made up of viewers who volunteer and participate direct from their sofas, interacting via on-TV controls and maybe even Project Natal / Nintendo Wii-style motion sensors. Meanwhile, the ‘backchannel’ discussion currently taking place on Twitter could be integrated directly into the programme. 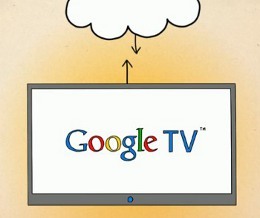 A Google TV app (for example) could allow producers to foster discussion via custom tools that suit the show in question. 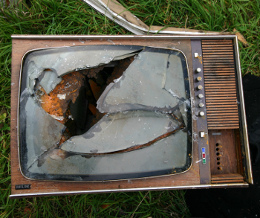 By supporting participation via the TV itself, the discussion would be opened up to a wider audience of people who prefer not to use computers while viewing. So that the ‘backchannel’ doesn’t distract you from the show, it could be switched on and off at will, perhaps with a subtle on-screen notification if someone replies to you directly. These are just a few ideas for what we might see. We’re likely to experience a period of intense innovation over the next few years and all sorts of unexpected ideas and apps will spring up out of nowhere. Firstly, the TV industry is facing rampant piracy, declining ad revenues and competition from a vast range of other in-home entertainment options like gaming and web-based video. By making TV a more interactive experience, producers will be able to make watching the original broadcast a ‘premium’ experience. Downloading a pirate copy later just won’t be the same as participating in the show as it goes out. There are challenges in making the interactivity work well and mistakes will be made, but the potential to boost viewing figures by transforming TV into an inherently interactive medium is huge. Secondly, broadcasters will be able to collect analytics about the most popular parts of shows, what type of people are most engaged in them as well as realtime feedback as to how shows are faring with their audience. They can collect a lot of this sort of data already but by hosting the interactivity around a show themselves the whole process becomes a lot easier. Social TV is on the way and it’s set to change the very fabric of the television industry itself. Thanks to Jamillah Knowles for the inspiration behind this post. Read next: They Don't Actually Make This, Right?